Do you have ancestry in the medical profession? 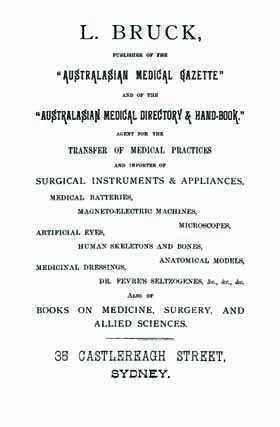 The Australasian Medical Directory and Handbook has a large amount of statistics and current medical information for all of Australia and New Zealand, plus several of the Pacific Islands (Fiji, Samoa and New Caledonia). It includes a large amount of useful information for social historians and anyone looking to explore their past or build a family tree. We've digitised five issues of the handbook for this set: 1883, 1886, 1892, 1896 and 1900.